Macintosh is 30 years old. If this were “Logan’s Run“, January 24 would be Last Day. Or the 1960s, time to ditch the computer because, you know, don’t trust anyone (or anything) over 30. Declaration: I am a Mac user, which surely surprises the long line of people accusing me of being anti-Apple. My Mac sojourn started on a Winter’s day in December 1998. I’ve abandoned Apple a few times since, even briefly boycotting, but always come back. My first Macintosh sighting was August 1984. I spent the summer in Chapel Hill, N.C. and often hung out on the University of North Carolina campus. The college book store displayed the Apple, which I found remarkable. I wasn’t a computer geek, nor am I one now, but nevertheless found the device charming. A decade later, I started using a Windows PC and for a while was a Macintosh bigot. I particularly enjoyed ribbing the graphic designers with whom my wife worked when their Macs crashed, wiping out hours of Photoshop or QuarkXpress work. “Get a PC!” was my common retort. Four years later, the freshly-grown iMac intrigued me. I found the design to be clever and distinctive, and Windows wasn’t wooing me. The operating system crashed too often and somehow didn’t mesh with my brain—something I didn’t understand why, then. So simply on impulse, just a few days before Christmas, I bought the original Bondi Blue iMac from CompUSA, which threw in a free 13-inch television (that I didn’t need). Apple promised 10 minutes to the Internet, after unboxing the computer. For most people, the process started with plugging a phone line into the modem jack. But my setup was way more complex. Long before DSL there was ISDN, which offers 128kbps, rather than the typical 56kbps, connection but with different setup. ISDN requires an IP connection. So having never used Mac OS, I plugged the ISDN cable into the Ethernet port, started the computer, found the network settings (having no idea where to look), and connected to the Internet—all less than 10 minutes out of the box. There was something strangely intuitive about Mac OS that just fit. That iMac soon became my main computer, even for work, with Mac OS proving to be more stable and capable than Windows 95 or 98. In February 1999, I bought another Apple—a refurbished PowerBook G3 from MacConnection. The retailer listed the 233MHz model, but I received the 266MHz laptop instead. Ssssh, it’s still a secret. I loved that computer, which marked my second Mac Moment. So I confess: Many more followed. The curvy design distinguished the laptop from others, and it offered some unique features, with the DVD drive being among the most useful. Apple stood alone offering the optical option as standard equipment. Next day, I signed up for startup Netflix, renting and watching my first DVD on the PowerBook. Many more Mac moments followed. My daughter used the Flower Power iMac and later the white MacBook. Each new computer delighted us all. I bought several more Macs, with the biggest expense going to the ill-fated Power Mac G4 Cube, which design I loved. But the design wasn’t practical and price too high for many potential buyers. 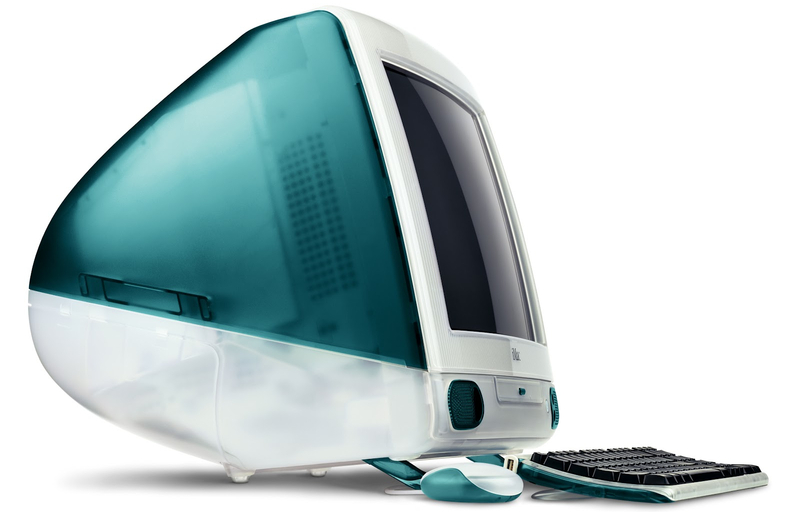 First story: When Apple refreshed iMac in summer 2000, something was missing. I remember looking at new models at CompUSA and thinking “I wouldn’t buy one for my mother”. That was a gut reaction I made sense of later. Napster and music burning and sharing was all the rage at the turn of the Millennium, and Windows PC makers started shipping CD-RW drives on new computers. But not Apple, which obsessed about DVD drives and movie making. Site comments were a thing of the future in 2000, so I got angry emails instead from Mac fans who claimed I didn’t understand squat about Apple’s movie strategy and DVDs. Strange thing: Not long later, Apple bought the main MP3 Mac software developer then released iTunes in January 2001, along with the first Macs with CD-RW drives. Apple got music late, but what a comeback looking at iPod’s and iTunes’ later success. Second story: As a Cube user, I observed hairline cracks—really mold lines—in the clear plastic. So I reported and wrote about them. Ironically, hours after the story posted, Apple issued a profit warning, spurred by a glut of G4 Cube inventory. The computers weren’t selling well. I got rapped by the Mac Faithful for the story and many more that followed, all while being a primary user myself. What’s that saying about being toughest on the ones you love most. That’s me. Many more Mac moments followed, but for years I had an on-again, off-again Apple relationship because bosses at different companies pegged me to write about Microsoft. I was good at it. So I really needed to use Windows PCs and software to write competently about them. The difference: For many reasons, with design and attention to detail being among the most important, I enjoyed using Macs in ways never experienced using Windows PCs — Apple’s operating system and major apps are primary reasons. I also found that the Mac ushered forth my inner creativity. Beyond both attributes was the joy of discovery. Joy is a major user benefit often overlooked in product and user-interface design. Other defining Mac moments include: white Intel MacBook (2006), the original MacBook Air (2008), the 11.6-inch successor (2010) and every OS X release but the first (2001-present), among many others. But as Apple and the Faithful celebrate 30 years of Macintosh, my moment isn’t the past but the future — what the Mac becomes. I am enamored with iPad Air, which is the best computing purchase made since my first PowerBook 15 years ago next month. I’m convinced that iPad Air defines the Mac’s destiny. The tablet is as amazing as Apple’s TV ad “Your Verse” claims. I now spend more than 70 percent of my computing time on the tablet and may soon stop using a laptop (sorry `bout that Chromebook). iPad Air unleashes my creativity and brings supreme satisfaction much the way a translucent all-in-one computer did a decade-and-a-half ago. I think of the possibilities and wonder: What will my next Mac moment be? Editor’s Note: This story first appeared on BetaNews.